Live the story of your life at the highest level. If you received an unexpected call to make a film about your life, would it be a captivating film, full of risk, battles, and victory? Or would it be one of those films where people leave the theater before it’s finished? We’ve all heard great stories about famous heroes, those men and women who have gone down in history having made a difference. But what might be said about your life? Could you make it into one of those great stories? 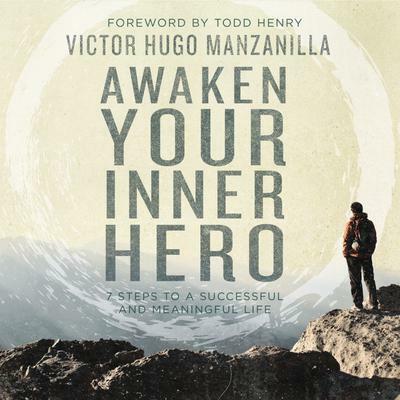 Awaken Your Inner Hero is a call to adventure, to get out of your comfort zone and take the kind of risks that will lead you to radically change the way you are living your life. Based on the “hero’s journey” and on universal principles that have been used by poets, writers, and directors to create great stories, the author unveils seven steps that will help you make your deepest desires come true and develop a story worth telling. You will discover life has great things waiting for you, if you are bold enough to go after them.